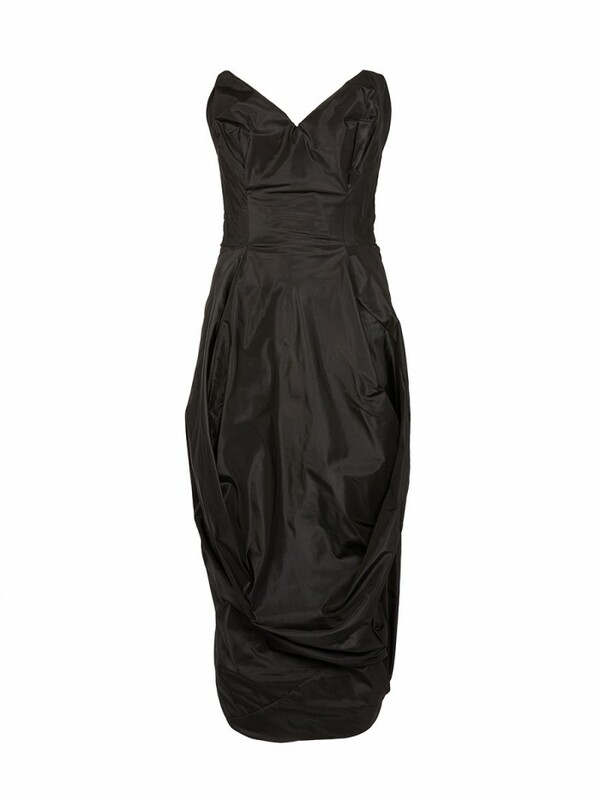 Vivienne Westwood Carrie Pencil Dress Black. Beautifully constructed with darts to the front and back, the Carrie Pencil Dress comes crafted in pure silk ‘paper’ taffeta’, a light classic fabric that for its crispy nature highlights this iconic Westwood non-conventional shape. In elegant black, this piece is detailed with a boned internal corset and a rear slit provided with a buttoned tab that allows regulating the length of the dress.